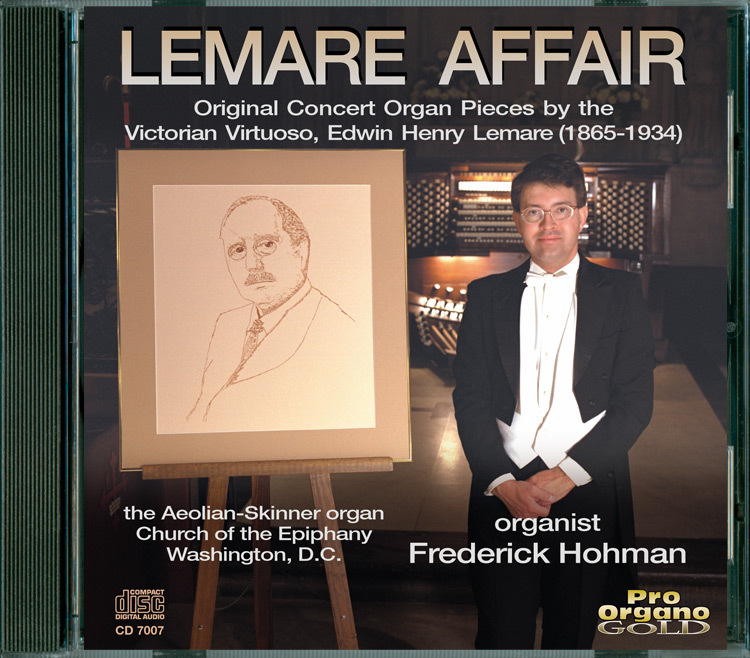 Frederick Hohman plays virtuoso original organ music of Edwin Henry Lemare (1865-1934) on the Aeolian-Skinner organ of Church of the Epiphany, Washington, D.C. 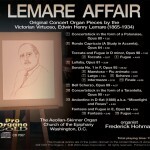 The program is drawn from music composer during what is known as the peak years of Lemare’s career, from 1910 to 1920. All tracks are available individually. Venue: Church of the Epiphany, Washington D.C. Whether he’s commanding the “King of Instruments” in the town halls of Australia, in historic English cathedrals, or at noted American universities and festivals, in concert, Frederick Hohman transforms the pipe organ from a “Sunday morning“ instrument into a virtual symphony ­orchestra. Critics have noted his intense energy “like a ­victorious athlete” [Portland Press Herald, Maine], thoughtful interpretations “full of fantasy’ [Raleigh News and Observer], his creative use of organ tone with ­“registrations appropriately kaleidoscopic” [The American Organist ­magazine], and his pedal technique “the best you’ll ever hear” [St. Louis Post-Dispatch]. His concerts have brought appreciative audiences in America and abroad to their feet, sometimes more than once during a concert. From 1976 to 1978, while in the organ class of David Craighead at the Eastman School of Music – where he earned the Performer’s Certificate, Mus.B., M.M. and D.M.A. 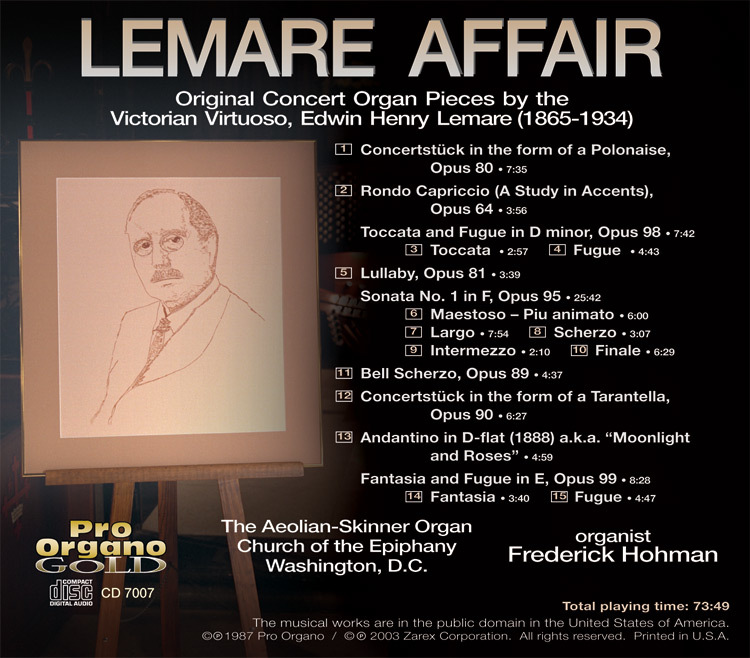 degrees – Frederick Hohman was heard on FM radio performing the gamut of organ literature as he hosted a weekly half-hour radio program, aired by affiliates with National Public Radio (USA). In 1984, Frederick Hohman was named First Prize Winner in both the Eighth National Organ-Playing Competition (Mader Foundation, Pasadena, California) and the Arthur Poister Memorial Organ-Playing Competition (American Guild of Organists, Syracuse, New York). Since then, for two decades, he has appeared in concert at the opening of new American pipe organs, for conventions of The American Guild of Organists, The Organ Historical Society and The American Institute of Organbuilders, and in several noted cathedrals and universities throughout the USA and abroad. In 1987, the first of what was to become his more than 10 critically-acclaimed CD recordings ­appeared on the Pro Organo label. 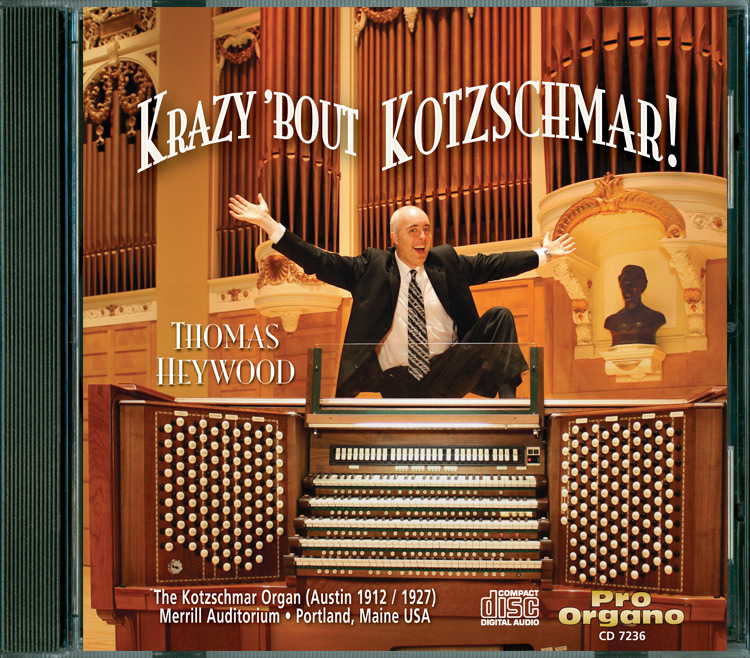 Hohman’s CD releases have won critics’ favor in the pages of The Absolute Sound, Fanfare, The American Organist, The Diapason and Britain’s Musical Opinion, The Gramophone and Organists’ Review. In 1996, Frederick Hohman made a ­transition to television, when he became the host and principal performer for 24-episodes of the Midnight Pipes television series. Midnight Pipes aired in several tv markets over PBS affiliates. Performance segments from the series continue to appear on Classic Arts Showcase, a classical music performance program distributed worldwide on the ARTS Cable Channel. 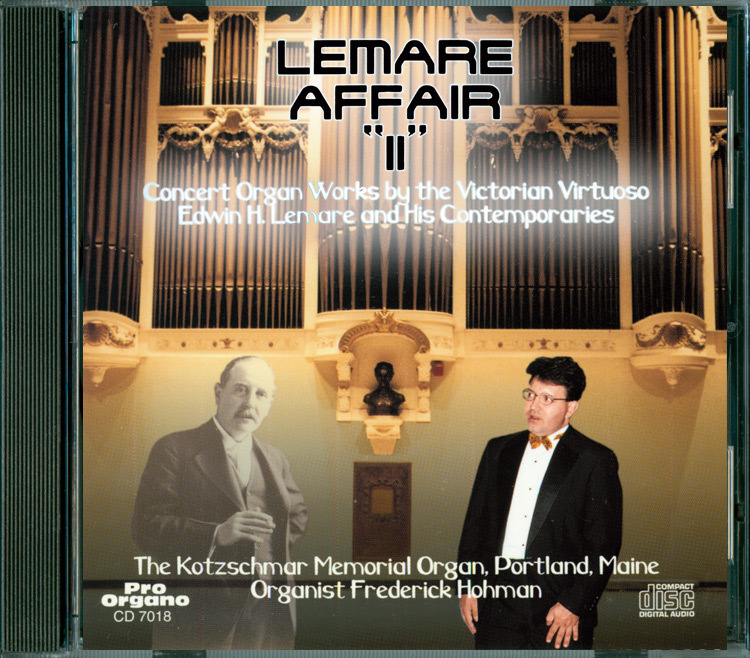 Frederick Hohman also composes original organ and choral music, with scores published by Lawson & Gould, Wayne Leupold Editions and Zarex Corporation. Although to date he has ­maintained no formal teaching studio, from 1999 through 2010, he offered constructive guidance to young organists by serving as the festival artist and adjudicator for the Albert Schweitzer Organ Festival and Competition/USA, held every September in greater Hartford, Connecticut.